The second DPRK-USA Summit is an international event of global concern and thousands of reporters from many news and press agencies around the world have come to Hanoi to cover the meeting and they have seen with their own eyes the city’s beauty and attractions, Ha Van Sieu, Deputy General Director of the Vietnam National Administration of Tourism (VNAT), told the Vietnam News Agency (VNA). The successful hosting of the summit will help Vietnam raise its position and prestige in the world arena, and gain more sentiments from foreigners, thereby attracting more international tourists, even those who have not known much about Vietnam, and encouraging them to spend more during their holidays in the country, he said. Vietnam is also expected to draw more direct and indirect investments after the DPRK-USA Summit, Sieu said, adding that increased inflows of investment and foreign visitors will fuel ideas about new tourism products and new tourist destinations. The official mentioned the idea of turning Vietnam into a bridge connecting the world and the Democratic People’s Republic of Korea (DPRK) through tourism since Vietnam has built up its brand as a peaceful and friendly nation and more opportunities are created for Vietnamese businesses to invest in the DPRK. To further popularize Vietnam’s tourism, the VNAT had previously asked culture and tourism establishments in the capital city of Hanoi to ensure environmental sanitation, as well as host and guide international reporters during the two-day summit. It requested Hanoi and other provinces and cities nationwide to increase their inspections of tourism services to ensure the best quality for high-level delegations, international reporters and tourists before, during and after the event. The VNAT also worked with the Ministry of Foreign Affairs to proactively provide information about Vietnam’s tourism through videos, Vietnam Tour Guide e-publication, tourism website www.vietnam.travel, and the ministry’s international press registration site www.dprk-usasummit2019.mofa.gov.vn. The VNAT, in coordination with the Vietnam Tourism Association (VTA), have hung large billboards introducing free tours for reporters which include the Hanoi city tour and trips to Café Hanoi, Bat Trang ceramics village, and UNESCO world heritage site Ha Long Bay in northeastern Quang Ninh province arranged by prestigious travel companies Hanoitourist and Saigontourist. 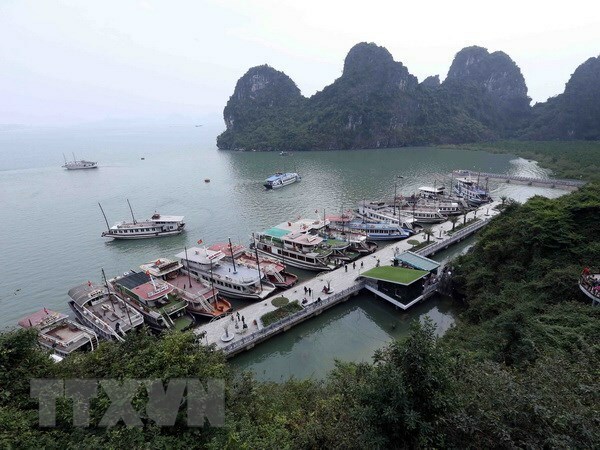 After the summit, the VNAT plans to organise a wide range of activities to promote Vietnam’s tourism in the US, Russia, the Republic of Korea and Japan in a bid to lure more holidaymakers to the Southeast Asian nation.